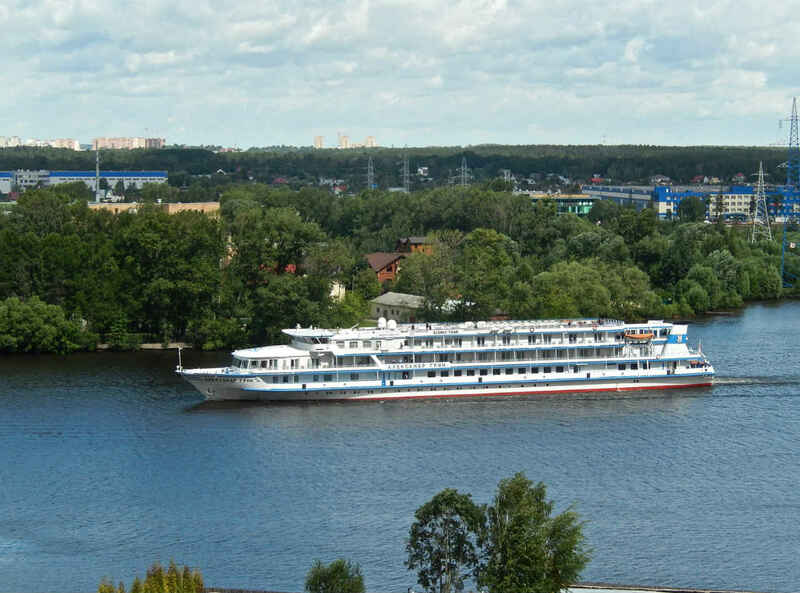 My wife Oksana and I recently took up a perch overlooking the Moscow River. Well, it’s not actually the Moscow River. 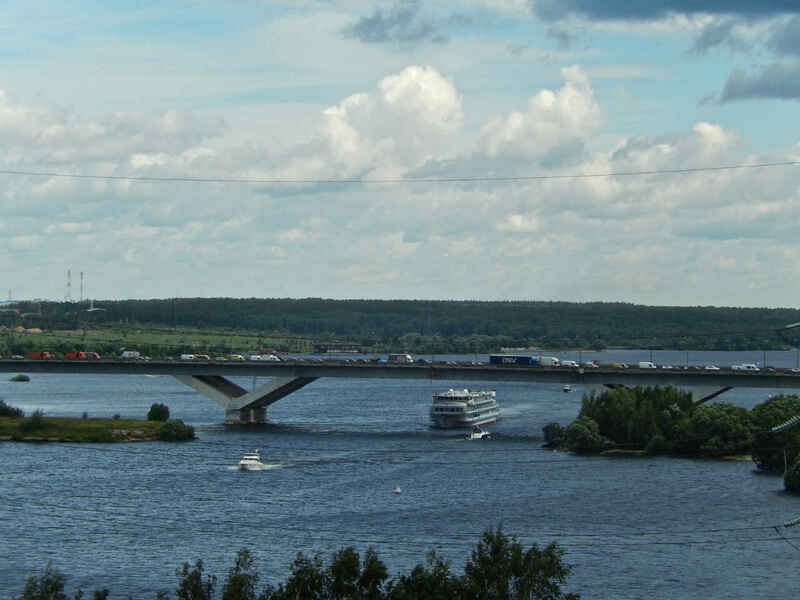 In this particular place it is called the Moscow Canal and just beyond it, on the other side of the bridge, it’s called the Klyazma Reservoir. But it looks and acts and smells (ever so sweetly) like a river to us, and so we call it a river. One of the reasons we feel entirely entitled to do that is because enormous ships navigate the waterways here daily. 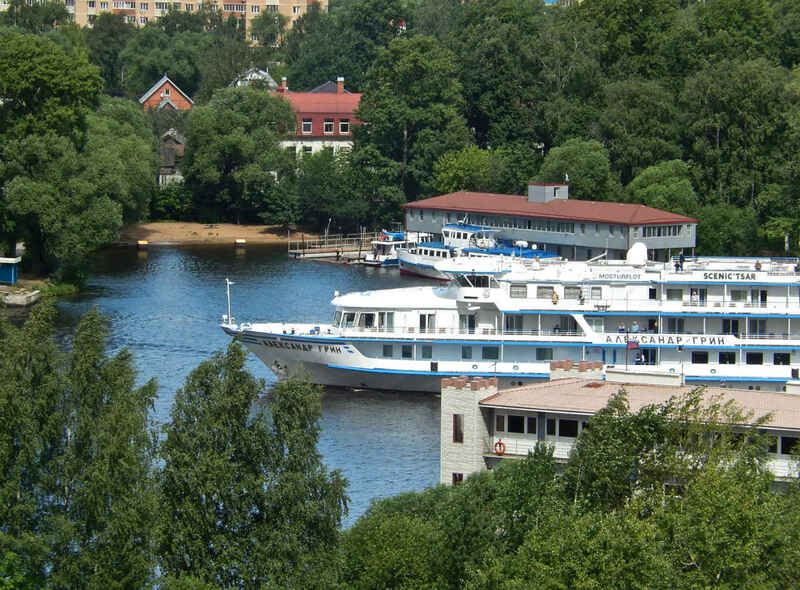 Huge barges, motor boats, sail boats, yachts, steamboats, houseboats and cargo boats go up the river, down the river, up the river, down the river. 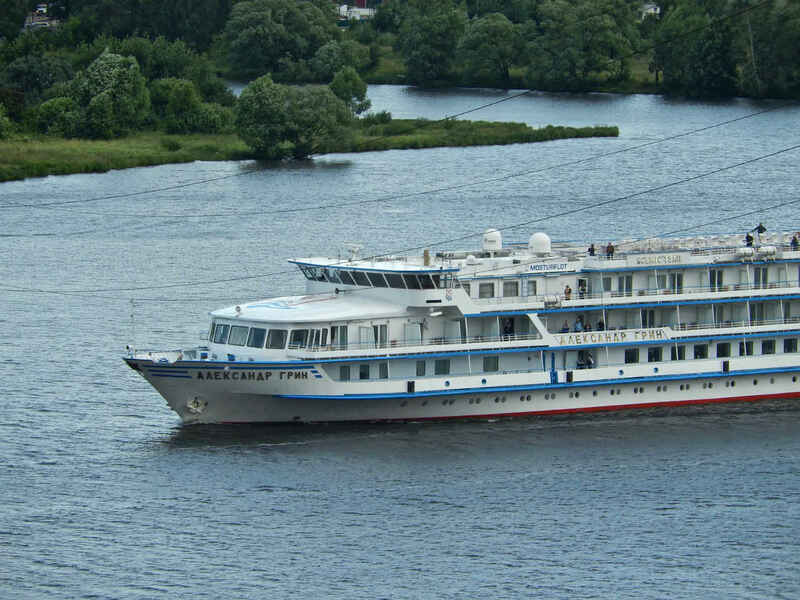 I would guess that at least a half-dozen times a day, if not more, we see huge passenger liners going by. 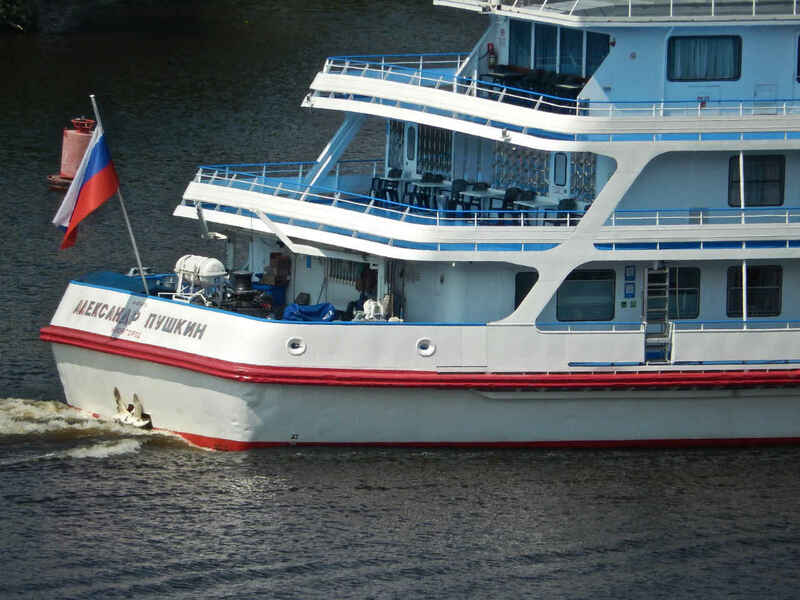 They are among our favorites, in part because many have wonderful names – the good ships Mstislav Rostropovich, Igor Stravinsky, Andrei Rublyov, Sergei Yesenin, Mikhail Bulgakov, Nikolai Gogol, Nikolai Karamzin, Alexander Radishchev, Ivan Krylov to name a few. As you see in the final two shots below, Alexander Pushkin and Nikolai Chernyshevsky have their very own liners named after them. Regardless of what they’re called, every time we see one coming or going we run to the windows and hang on the windowsill, just watching the river flow and watching the ship sail on it. After awhile I began to think – there may be something to write about here. 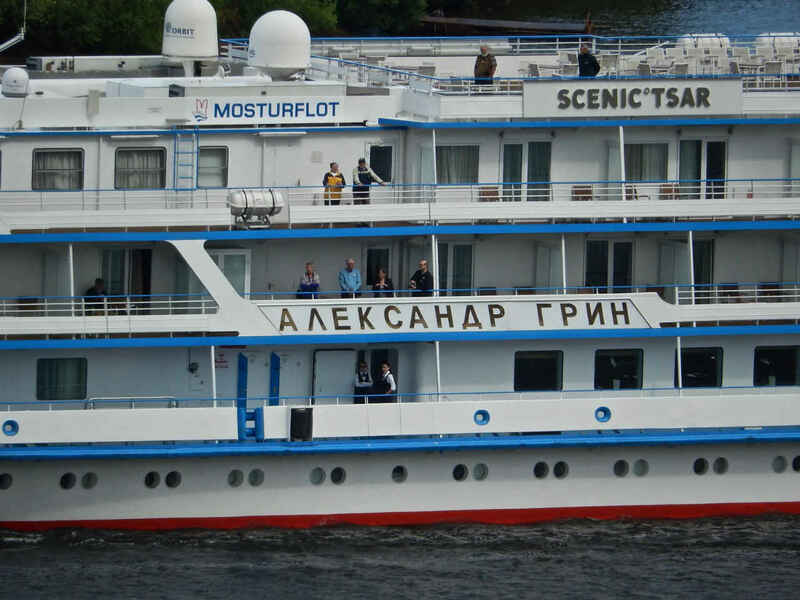 But the Alexander Pushkin? I’ve written about him a million times and I have another million photos involving him that are still waiting to be written about. It’s the same, to lesser degrees, in regards to Bulgakov, Rostropovich, Gogol, Stravinsky and others. 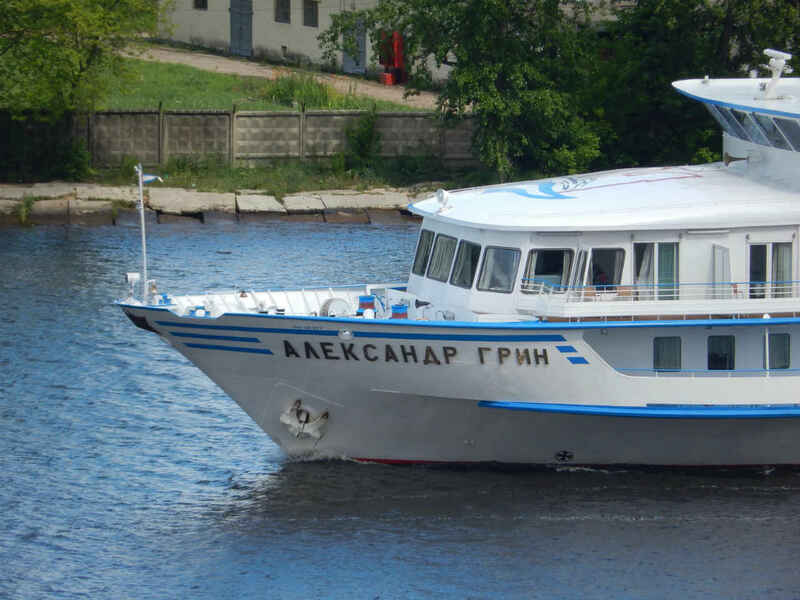 But then one day, a few days ago, the perfect boat came chugging down the river, heading in towards Moscow from St. Petersburg. Hoping for something good, I began photographing it before its name came into view. 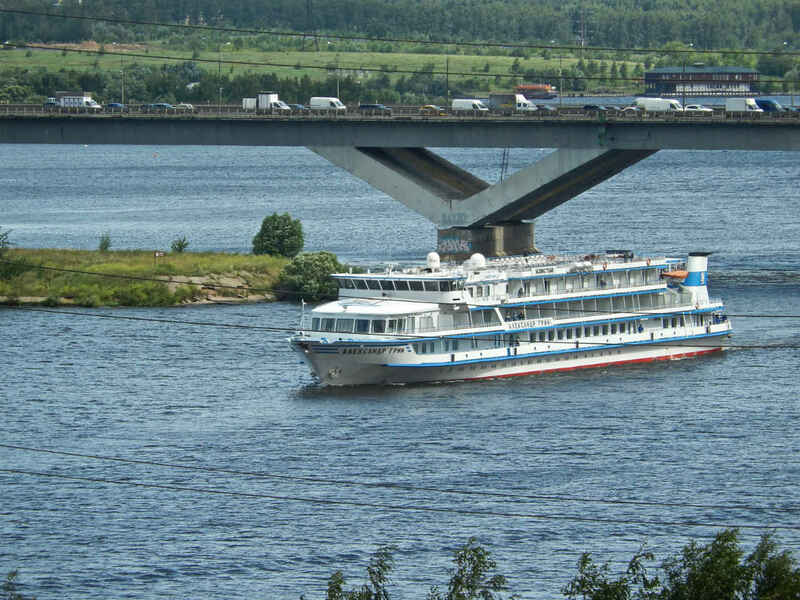 And when the ship did come abreast of me, I was thrilled – it was the Alexander Grin! What a perfect combination! And I’ve never seen any plaque or monument in the cities I’ve inhabited or visited that would give me an opportunity to share a few stories about this fantastic writer. I toss all this together in a jumble in order to declare what should be obvious by now: the only thing Grin was really good for and at, and the only thing he really could do, or wanted to do, was to write. And, indeed, over the last 25 years of his life, Grin became one of the most interesting, beloved and unique writers in the Russian literary canon. Encyclopedias tell us about the neoromantic, psychological, philosophical, symbolist, mystical and fantastic elements in Grin’s writings. What most any Russian kid – or adult who has not forgotten his or her childhood – will tell you, though, is that his adventure stories are among the best, most vivid they ever encountered. Although he turned out to be a lousy sailor, some of his best-loved works are about watery voyages. Many of those have been made into popular films, including Scarlet Sails, She Who Runs on Waves, 100 Versts on the River and more. In fact, there have been at least three films made of Scarlet Sails (1961, 1982, 2010), and two of She Who Runs on Waves (1967, 2007). The world of Grin’s literature (he began writing in 1906) is strange, somewhat foreboding and endlessly attractive. You sense danger in there and you are compelled to move closer to the edge to see what is happening more closely. Many of his works take place in a land that he imagined himself and which came to be known as Grinland (having nothing to do, of course, with Greenland). Notably, virtually none of Grin’s works (he wrote novels, stories and poetry) reflected the life that surrounded him in Russia. This, of course, was a bold, maybe even risky, choice on the part of the writer. In a tradition that (rightly or wrongly) held Tolstoy, Dostoevsky, Turgenev, Chekhov and even Gogol on pedestals for the way in which they reflected and commented on the fate of their nation and their people, Grin simply turned his back entirely on reality and used his literature to escape into his own fantasy land. A film of his tale Mister Designer, about an artist who wishes to beat death by means of making sculptures that will live forever, became a huge hit upon release in 1988 and remains a cult favorite today. During the Soviet years Grin was able to publish only for a short time in the mid-1920s, when the control of the Communist Party was at its laxest. By the late 1920s he was cut off from publishing entirely and his works only began reappearing decades later. He died of cancer of the stomach a month short of his 42nd birthday, in obscurity and poverty. His reputation since then has struggled at times to achieve the respect it deserves. Grin is often referred to as a writer for young adults, but this is a gross simplification. Little by little that prejudice has lost power in recent decades, but Grin still does not fit into the usual overall blueprint of Russian literature. In fact, he was a unique, powerful and talented writer whose imagination has enriched the Russian consciousness for over a century. Sail on, Alexander Grin! Yes! Railway workers want to read about railways! By the way, my concentrated reference back to Erdman here has another aspect to it. Platonov and Erdman were good friends who shared a similar life in the 1940s. Platonov (1899-1951) went virtually unpublished after the 1930s. He never was arrested, never spent time in the camps, but he was virtually erased from the face of contemporary Soviet literature. He could not be erased from Soviet or Russian literature proper, because he was too damn good. He is now considered one of the greatest Russian writers of his age. There are those would consider him one of the greatest, most distinctive writers of any language in the 20th century. But that’s what we know now. In his life he, like Erdman, was shunted off into obscurity. Perhaps this drew the two together, or perhaps they were simply sympatico. The details I have at my fingertips, are, unfortunately, skimpy. It’s something I’ve always wanted to know more about, in grand, juicy detail. But, so far, no go. Still, what I can say is this: Platonov and Erdman used to hang out from time to time at the Metropole Hotel in the center of Moscow. They would drink and talk and, perhaps, drink some more. I don’t know what Platonov drank. Erdman drank only cognac. That was his poison. But there was another component to these meetings and his name was Yury Olesha. That’s right, three writers with great comic talent, three writers hounded out of the public eye by the times they lived in and the people they lived among. And they would get together at the Metropole and talk. And drink. I know Olesha was quite a drinker. Erdman was too, although the word I have from many a source is that no one ever saw him drunk. In fact, he didn’t like sloppy drunks. But he did love his cognac. Platonov – I don’t know. This blog space is public, somebody can fill me in if they do know. But the image I’m working in my head right now is of the magnificent Metropole, right across from the Bolshoi and Maly Theaters, and there in the bar or restaurant is a table with three men sitting, drinking, chatting. Platonov. Erdman. Olesha. Wow. Who knows what they talked about? Literature? Maybe. Colleagues? Probably. Women? Certainly. Themselves? No way. What I’m saying is that even if we could find a way to go back 70 years in the guise of a fly on the wall, I’m betting we wouldn’t learn a damn thing about any of these guys and what they were up against. We might learn plenty about life, but not about their biographies. All three of them were a special cut of individual – reserved, self-protected, quiet. What a sight it must have been. For the record, I heard tales of these meetings from the writer Iosif Prut, a childhood friend of Erdman’s, who used to get into street fights with the future playwright, and who was also a friend and admirer of Platonov and Olesha. 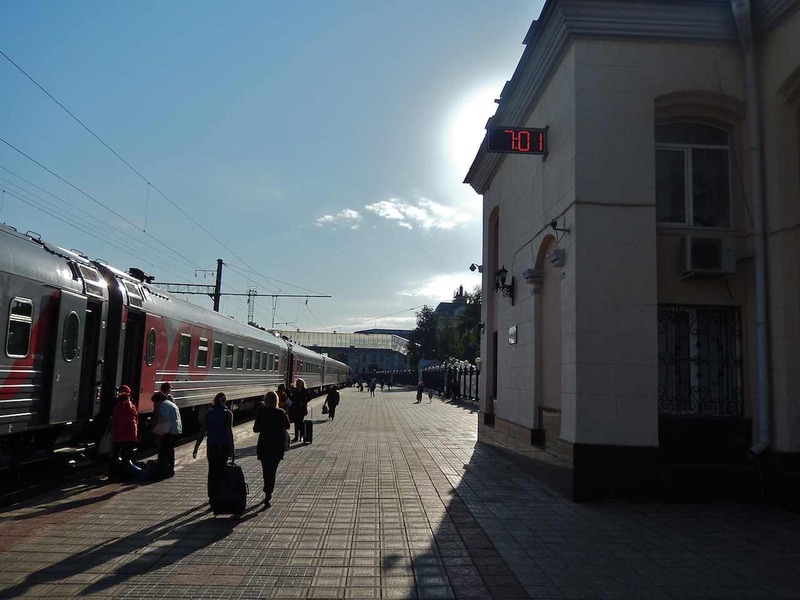 Platonov’s language and images had the spirit of railroads and engines and machines in them. It is a constructed language and world, built by a man who had a unique eye and ear for the world around him. 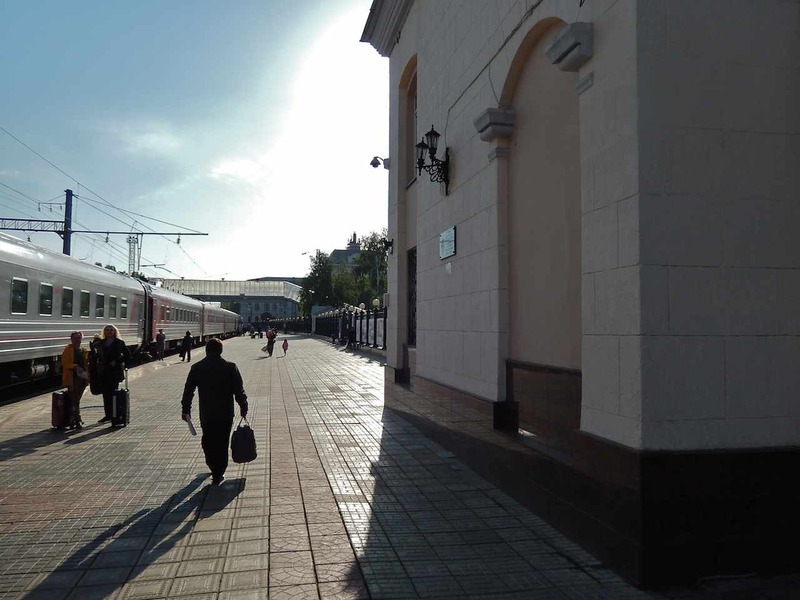 This station platform where Oksana and I stood for a few minutes before boarding our train to Moscow would have been a place Platonov saw and visited often. 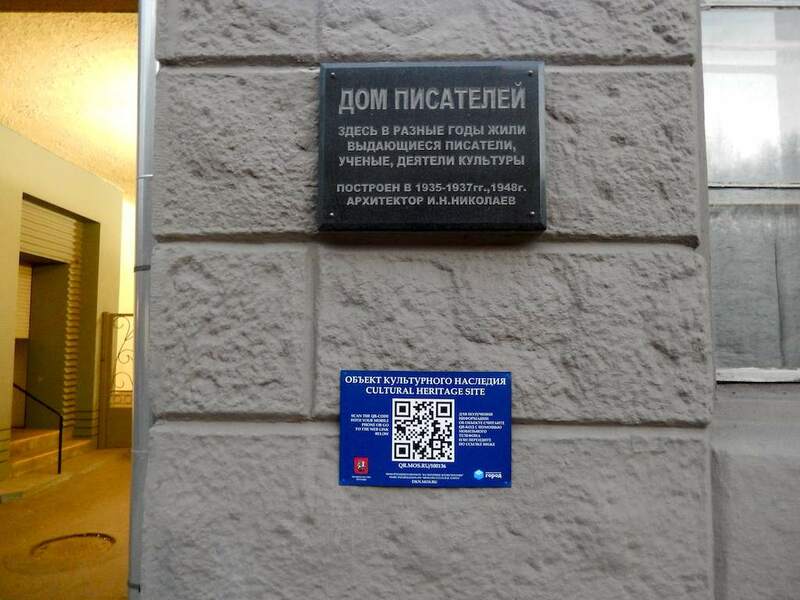 I would call this one of the greatest-kept secrets in Moscow cultural lore. 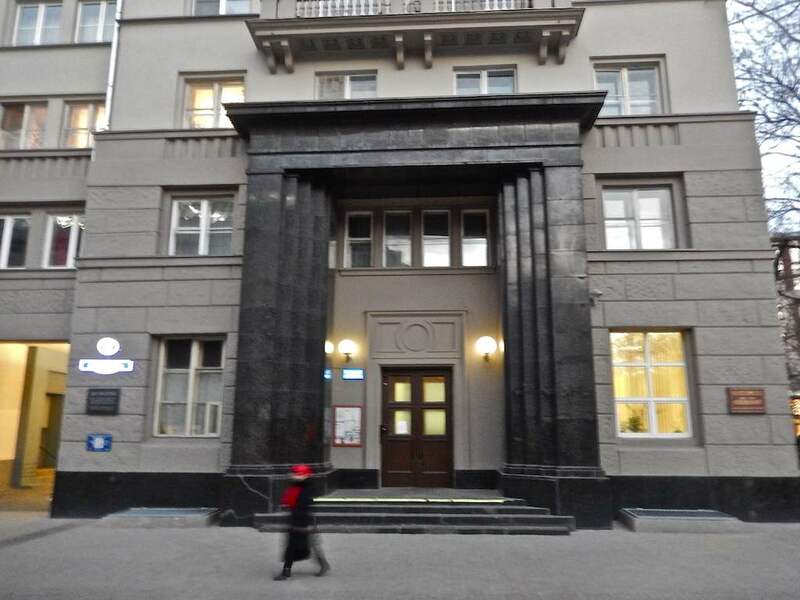 This building, which you have surely seen if you have ever spent time in Moscow (because it is located right across the street from the Tretyakov Gallery and you, of course, have been there), is absolutely chock-full of literary history, real and imagined. 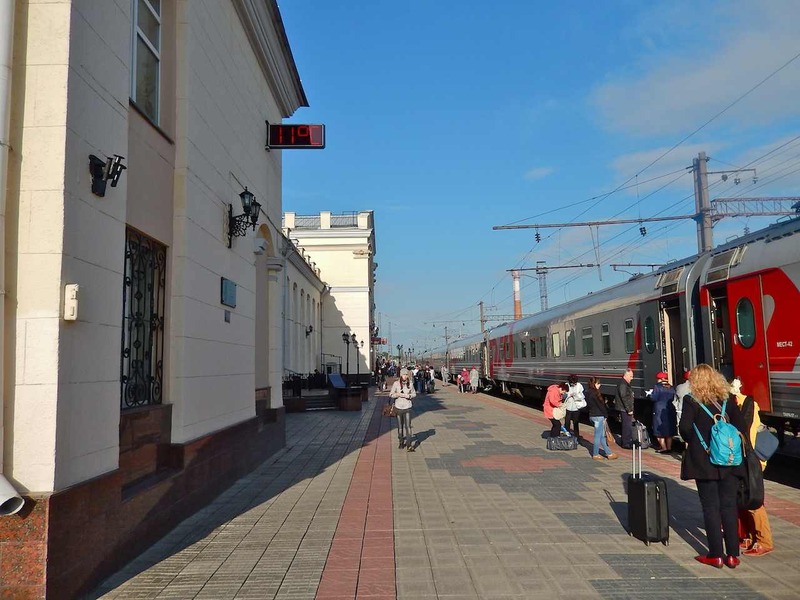 This, for example, is the very place to which the slicked-up and scantily-clad Margarita flies and destroys a critic’s living quarters at the end of Mikhail Bulgakov’s The Master and Margarita. 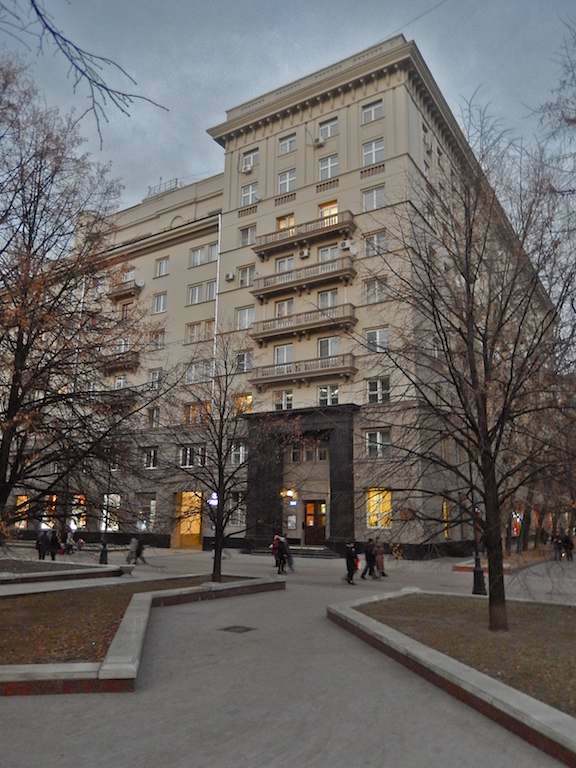 You see, Bulgakov was in line to receive an apartment here in the early 1930s, but was refused. 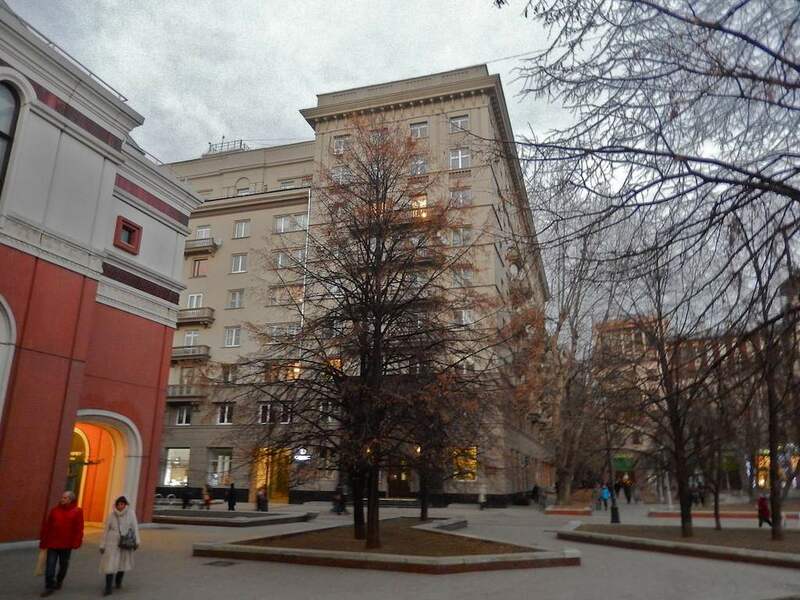 A nit-picking critic who was always yapping at the heels of Bulgakov’s work did receive an apartment here. It pissed Bulgakov off enough that he famously avenged the nasty man through his literature. The only change Bulgakov introduced into the story was that in M&M the building ostensibly stands on the Arbat. 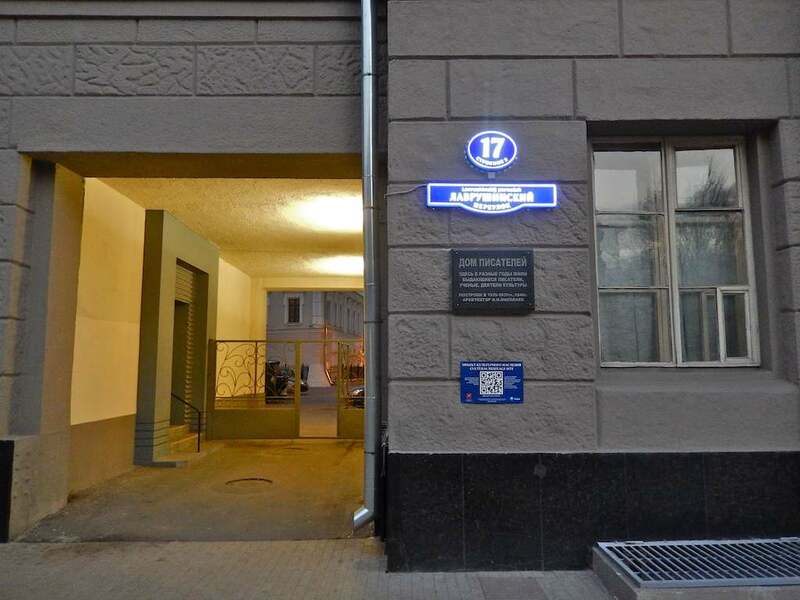 In fact, this is it: 17 Lavrushinsky Lane, in the Zamoskvorechye region. 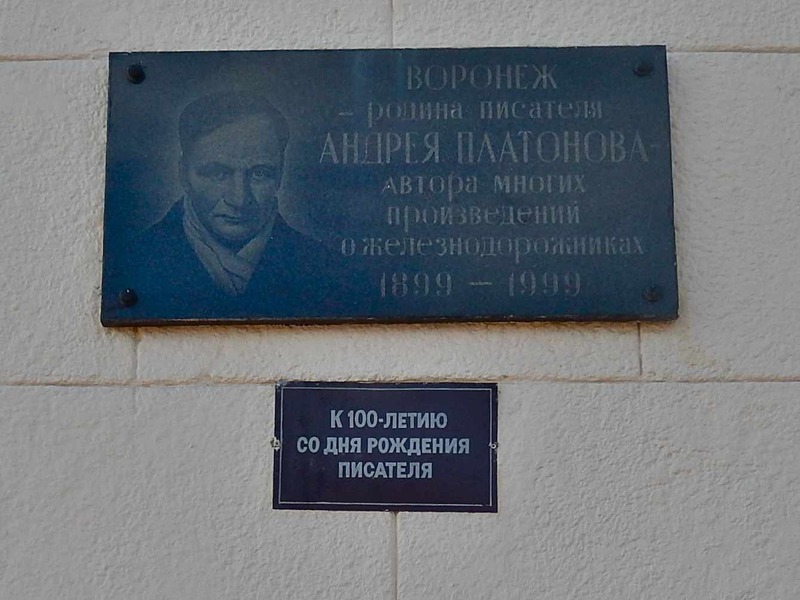 Just look at the list of people who were entered in the list of the winners of the “lottery” to receive apartments a full year before construction on the building was complete in 1937: Boris Pasternak, Ilf and Petrov, Konstantin Paustovsky, Ilya Erenburg, Viktor Shklovsky, Agnia Barto, Vsevolod Vishnevsky, Mikhail Prishvin, Lev Kassil, Nikolai Pogodin. 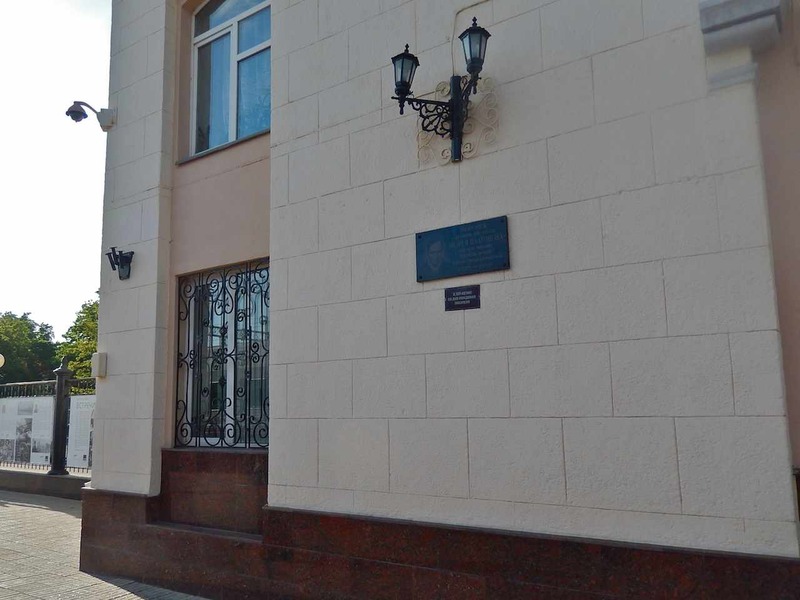 Other luminaries who lived here in later years and decades included Veniamin Kaverin, Valentin Kataev, Yury Olesha, the theater director Anatoly Efros, the singer Lidia Ruslanov and more. In terms of literature and art, this building surely beats out the famed House on the Embankment, located just a mile or two away, for saturation of fame and infamy. I bother to add that second word in large part because of the fact that Vsevolod Vishnevsky, the rabble-rousing playwright, lived here. Vishnevsky was an acid-tongued, often jealous and envious, man who wrapped himself in the cloak of Revolutionary fervor and purity as, behind the scenes, he sent others to their doom. Vishnevsky played no small role in the downfall of Vsevolod Meyerhold, Zinaida Raikh and Nikolai Erdman. I’ve drawn this quote, as I have much information, from an article on the Writer’s House on the Big City website. 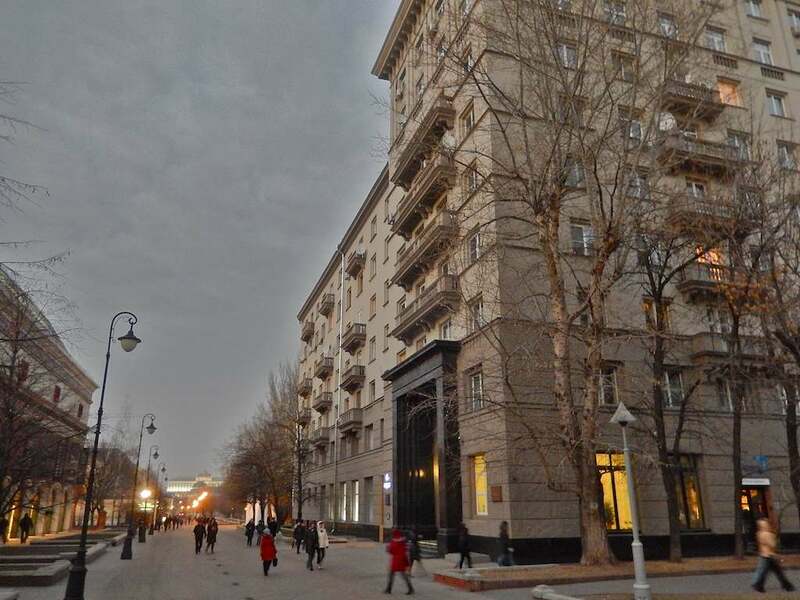 This building, an article on the Travel2Moscow website tells us, was actually signed off by Joseph Stalin, in large part because Maxim Gorky had convinced him there needed to be not only a home, but a whole neighborhood or small city of writers. Many talk about the distinctive black marble frame of the entrance (see the photo immediately below). It, indeed, is impressive, if not off-putting. And it becomes increasingly so when you think about the reality of the people, the years and the events that converged in this structure. It was built in 1937 and people began moving in precisely as the Great Purges (about which I have often had reason to write, and about which I’m sure I will write more – such is the nature of that beast) were beginning. As such, there were numerous people who were arrested here and sent packing to Siberia, barely having had the opportunity to move in. Could it be that Stalin took Gorky up on the idea of putting a bunch of prominent writers in one place in order to make it easier to spy on them and round them up? I mean, why is the entrance to this building framed in black granite? It looks like a building in permanent mourning. 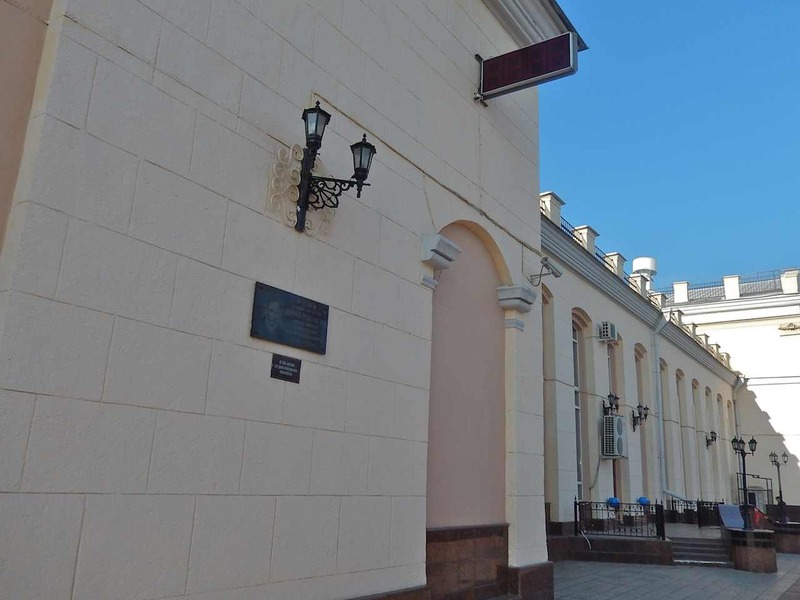 Was Stalin – by way of his architect Ivan Nikolaev – telling the tenants something? ‘Beware all ye, who enter these premises!’ Am I making that up? Maybe. Stalin has been known to do much weirder things. 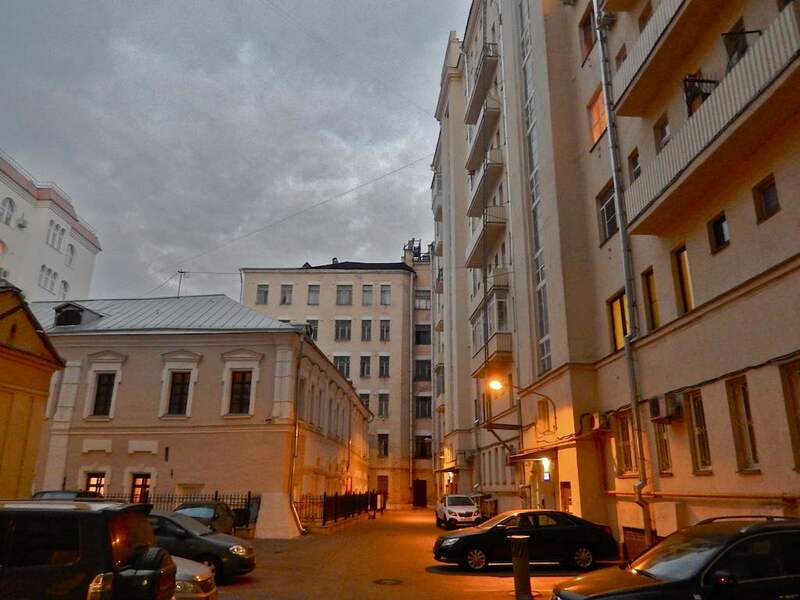 One thing is certain, the building is “within reach” of the Kremlin. Look at the first of the grouping of three photos above. You will see the yellow buildings of the Kremlin rising up there in the distance. 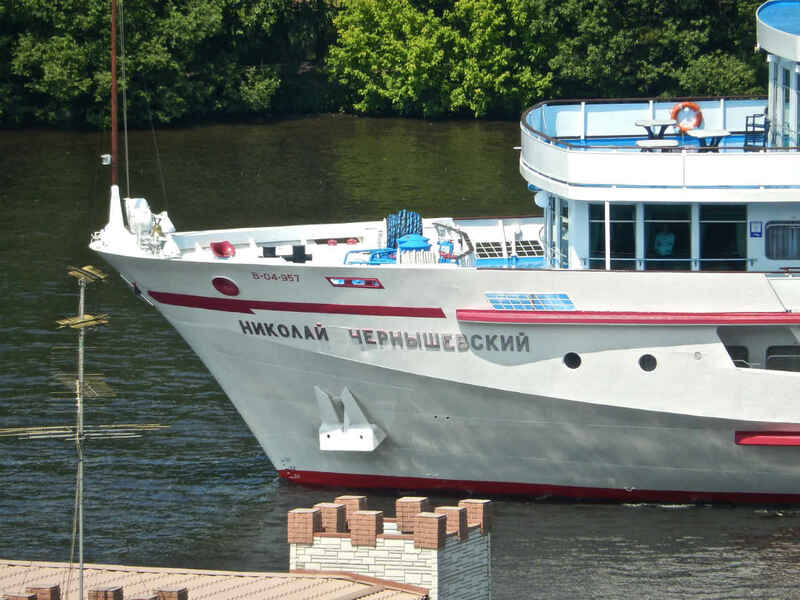 The Kremlin is just a hop, skip and trip across the Moscow River away. Interestingly, the building was erected around an old 17th-century structure that now stands hidden behind the grand facades. You can see that 2-story building in the final photo below. Absolutely fascinating stuff, if you ask me. I have just one question at this point, however. Why in the world would Kataev have considered it odd that Pasternak battled incendiary bombs on the roof of his home “without a hat or tie”? What was he supposed to do, don a tux to greet the German bombs? 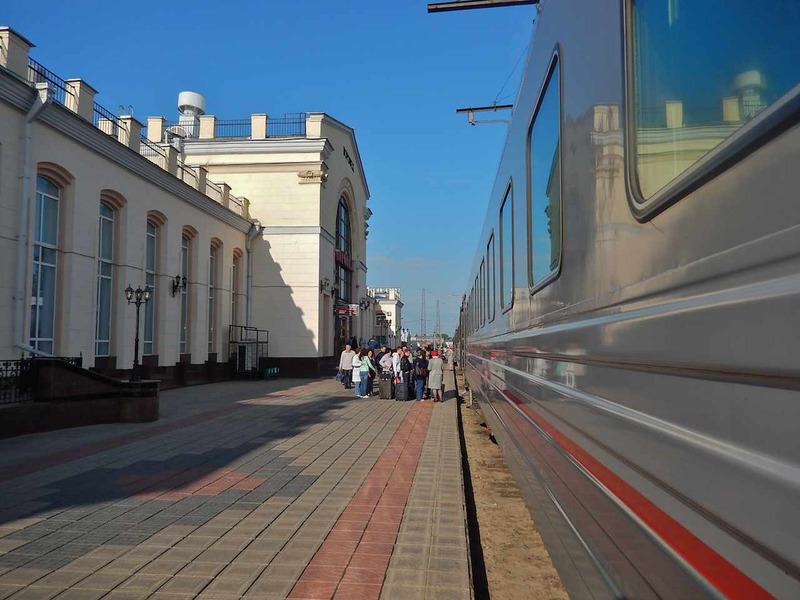 I must add here a few words spoken by my wife Oksana after I allowed myself to scoff at bit at Kataev. “The humor is Kataev’s,” she said. “What that means is that Kataev, like everyone else, rarely ever saw Pasternak without a hat or tie.” I.e., the only thing that could induce Pasternak out without a tie were German incendiary bombs. Whatever the case may be, my fascination with this structure and its inhabitants is only going to grow.